Biofeedback is a type of therapy that uses sensors attached to your body to measure key body functions. Biofeedback is intended to help you learn more about how your body works. This information may help you to develop better control over certain body functions and address health concerns. Biofeedback is built on the concept of “mind over matter.” The idea is that, with proper techniques, you can change your health by being mindful of how your body responds to stressors and other stimuli. Chronic stress can have dramatic effects on your body. This may include elevated or lowered blood pressure, increased or decreased body temperature, and disruption of brain function. By promoting a more effective mental and physical response to stress, biofeedback aims to help you control body processes like your heart rate, blood pressure and brainwave activity. Modern technology is able to sense and feed back many of these body processes almost in the exact moment we are experiencing them. These body processes were once thought to be completely involuntary, but given this feedback, we are able to learn to regulate them. This enables us to manage stress more effectively and reduce many of the health problems associated with stress. Electromyography (EMG) biofeedback: measures muscle tension as it changes over time. We use this technology mainly to address headaches. Thermal or temperature biofeedback: measures body temperature changes over time. We use this form of biofeedback mainly to address anxiety and stress. Heart variability biofeedback: measures your pulse and heart rate. 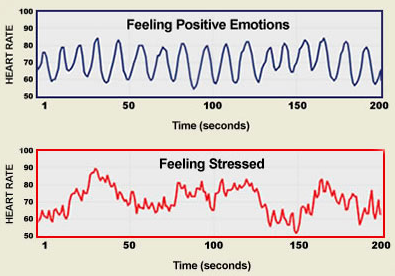 This form of biofeedback promotes heart health and mental health and positive emotional states. issues and is discussed in more detail in the next section. Please go to the services section for information about costs for therapy.